After seeing Dr. Farahi-Far on ZocDoc I felt the need to see and test out the facility. The wait was 5-10minuets. The office is nice and clean. As the ratings stated he is truly awesome! I appreciate how he took time with me and went over everything in away I could easily understand and felt so comfortable. As a new patient and the nervous type when it comes to seeing the doctor he helped change that! Thank you Dr. Farahi-Far. After seeing Dr. Farahi-Far on ZocDoc I felt the need to see and test out the facility. The wait was 5-10 minuets. The office is nice and clean. As the ratingsstated he is truly awesome! I appreciate how he took time with me and went over everything in away I could easily understand and felt so comfortable. As a new patient and the nervous type when it comes to seeing the doctor he helped change that! Thank you Dr. Farahi-Far. I came in for a cough and they took my urine and blood. The phlebotomist caused my arm to bruise fora week because I don't think she took the blood correctly. The doctor's office did not call me back with lab results when they received it. I had to call in. I came in for a cough and they took my urine and blood. The phlebotomist caused my arm to bruise for a week because I don't think she took the bloodcorrectly. The doctor's office did not call me back with lab results when they received it. I had to call in. Rointan Farahi-Far, M.D. graduated from Shiraz University of Medical Sciences in Shiraz, Iran in 1980. He completed his Surgical and Internal Medicine Residency at Prince George's Hospital in Cheverly, MD. 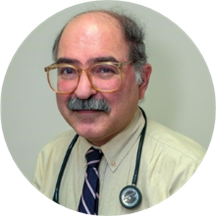 Since 1993, Dr. Farahi- Far has served as the Hospitalist for different hospitals in the area and has been trusted by many doctors to provide care for their patients. With over 30 years of experience, Dr. Farahi-Far continues to provide an exceptional level of care to all his patients. Dr. Far is really nice. His office is clean. He will be my primary care doctor. Dr Far and his staff are amazing! I highly recommend him. The overall experience at the office was very pleasant. The Dr was very sincere & was listening to me & my problems. I highly recommend this Dr. Only downfall was the wait time, spent close to 40 minutes waiting in the lobby to be seen, spent maybe another 15-30 minutes waiting for the Dr. Staff was very nice.